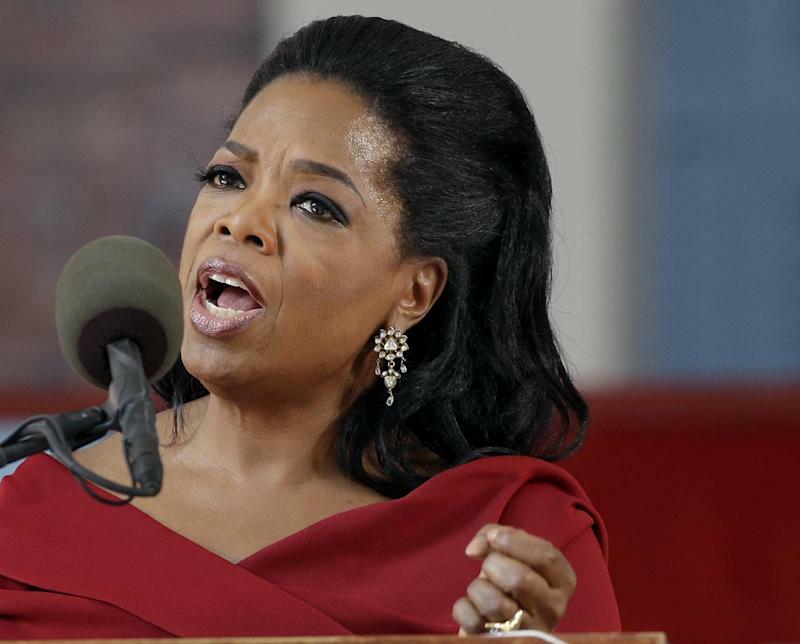 GENEVA (AP) — Oprah Winfrey says she had a racist encounter while shopping in Switzerland — and the national tourist office and the shop owner have apologized. The billionaire media mogul told the U.S. program "Entertainment Tonight" that a shop assistant in Zurich refused to show her a black handbag priced at $38,000 because "you will not be able to afford that." Forbes magazine estimates that Winfrey earned $77 million in the year ending in June. Winfrey was in town to attend last month's wedding of her longtime pal Tina Turner, who lives in a chateau along Lake Zurich. "We are very sorry for what happened to her, of course, because we think all of our guests and clients should be treated respectfully, in a professional way," Daniela Baer, a spokeswoman for the Swiss tourism office, told The Associated Press on Friday. The tourism office also posted an apology on Twitter, saying "this person acted terribly wrong." Shop owner Trudie Goetz told the BBC that an assistant had shown Winfrey several other items before the "misunderstanding" over the bag, which was kept behind a screen. The Blick newspaper quoted Goetz as saying the bag was priced at 35,000 Swiss francs ($38,000). She also told Blick that she was "truly sorry" because her staff are well-trained to treat customers well. "I have to admit that the employee is Italian. Of course, she speaks English, but not as well as her mother tongue," Goetz was quoted as saying. "It was a real misunderstanding." Winfrey was involved in another retail rebuff in Paris in 2005, when she was turned away from a Hermes boutique 15 minutes after closing time. The store said it was closed for a private public relations event. A Hermes executive appeared on her talk show to apologize for the "rigid and rude" behavior of the employee. Winfrey complimented Hermes on its handling of the incident — including sensitivity training for employees — and urged viewers to continue to buy the company's products. Truth Seeker: including allies Japan, South Korea and Turkey, So, no country, even allies aren’t respecting the USA anymore. Lol. The USA had better be careful. Because if these countries do like Brazil, india, Russia and China and buy their oil in their own currency. The USA will eventually lose its most important tax...the reserve currency status.